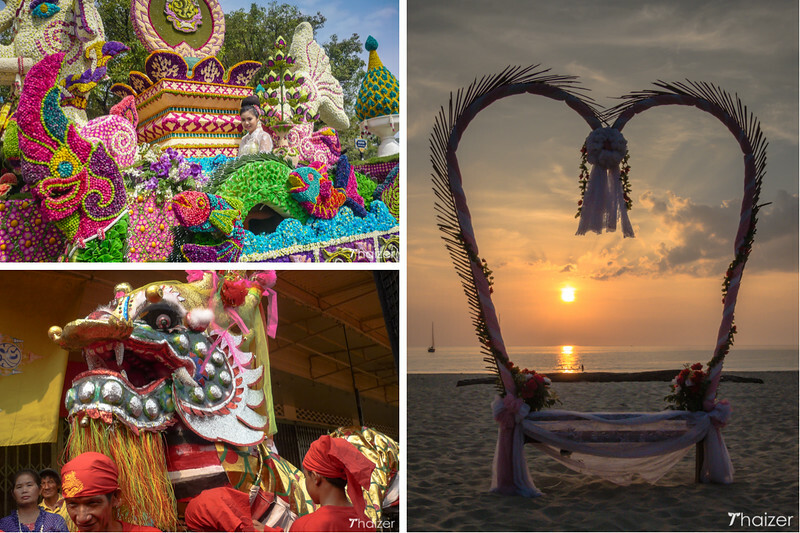 There are plenty of good reasons to visit Thailand in February with great weather in most parts of the country and a number of fantastic festivals to choose from. February also tends to see lower prices for flights and accommodation compared to the other high season months of December and January. It’s a good time to head north at the beginning of the month and experience the beautiful Chiang Mai Flower Festival. Visitors to Bangkok should make their way to the city’s Chinatown district to join in the ebullient celebrations for the Chinese Lunar New Year (exact date varies but often falls in February). If you are in the Thai capital during February, look out for the wonderful Concert in the Park hosted by the Bangkok Symphony Orchestra. The free outdoor concert season starts in mid-December and continues on most Sundays through until the end of February. And for romantics, many hotels and restaurants throughout Thailand put on special events and promotions for Valentine’s Day. Which is the best Thai island or beach resort to visit in February? When it comes to deciding on the best Thai island or beach to visit in February, it’s really a case of ‘up to you’. 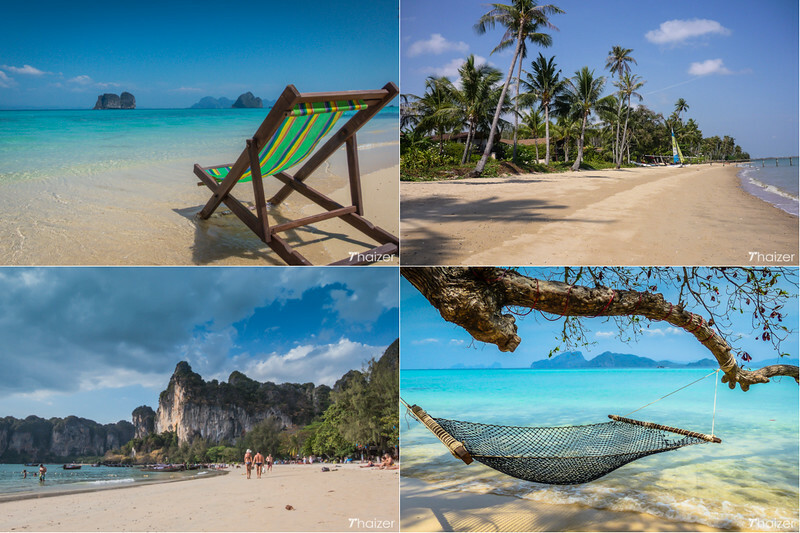 The chances are it’s going to be hot and sunny at whichever beach destination in Thailand you choose in February. If you do see rain, it’s likely to be an isolated quick morning or evening shower and won’t ruin your trip. Destinations such as Ko Samui, and Ko Tao on the Gulf Coast and Pattaya on the eastern seaboard see pleasant temperatures and plenty of sunshine and blue skies. The same is true for the Andaman Coast and destinations including Krabi and Phuket. In the north of Thailand, one of the highlights of the year takes place in February with the beautiful Chiang Mai Flower Festival. Held on the first weekend in February, the event proudly showcases the floral beauty of Chiang Mai. But you don’t have to be an avid gardener to enjoy the spectacle and sanuk. With live music, great food, street markets and cultural displays the festival has something for all the family. The highlight is the colourful street parade featuring floral floats, vintage cars, marching bands and local people in traditional costumes. Fans of New Year festivities are in for a treat in Thailand where many people celebrate New Year three times within the space of a few short months. The date for Chinese Lunar New Year varies each year depending on the lunar calendar, but sometimes falls in February. It’s an entertaining experience especially if you are in the Chinatown districts of Bangkok and Chiang Mai or other areas of Thailand such as Phuket and Trang where many people have Chinese heritage. If you’re in Thailand for Valentine’s Day, take a trip to any local flower market to see just how seriously Thais take this event. Pak Klong Talad Flower and Vegetable Market in Bangkok is particularly impressive in the lead up to Valentine’s Day, but is an entertaining place to visit at any time of the year. And if you want to make a wish to be lucky in love, be sure to make a trip to Bangkok’s ‘shrine to love’, the Trimurti Shrine located in the heart of the Thai capital. If you are visiting Thailand in February you can expect to see an abundance of sunshine in most destinations. Combined with low humidity levels and the absence of any substantial rainfall, February makes for a great time to visit Thailand. February is the last of the cool season ‘winter’ months before the weather starts to warm up significantly moving into March. Some provinces in the north of Thailand can see problems with haze and smog in February, particularly towards the end of the month. The amount of haze varies from year to year, but it is usually at its worst in March rather than February. If you visit the north of Thailand and destinations such as Chiang Mai and Chiang Rai, you may find it cool enough in the evening that you need a shawl or light jacket.